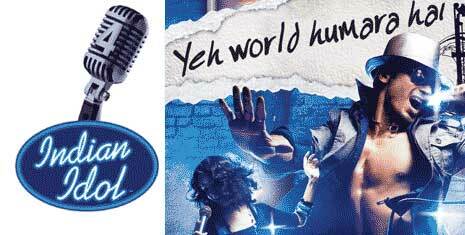 Popular singing talent show Indian Idol 4 (season four) Starts 19th September, Fri-Sat 9 pm (Yeah, “Dus Ka Dum” takes break!). Balika Vadhu on Colors is Rocking – Must Watch ! Colors TV has been more in news for Akshay Kumar’s Khatron Ke Khiladi and Shilpa Shetty’s Bigg Boss. Guess what? they even got better show than these – AND its Balika Vadhu. Priyanka & Arjan Bajwa come together for the first time in movie ‘Fashion’ and things are already steaming HOT. Scene between has become so HOT, either movie gets ‘A’ rating or scene is chopped off. Waaris on Zee – SarKar Raj on Television ? Minisha Lamba is always known as sweet next door girl. Well, she is going through makeover for movie ‘Kidnap’ with bikini and little stripy stuff. Urmila is back playing mainstream glamorous role in upcoming movie ‘Karzz’. Like many other stars, her age does not reflect on her. ‘Karzzz’Â looks like her next movie release after Rangeela. Shahrukh Khan Looking an oldie, right Anushka? We already know that SRK above 40s has been paired up with Anushka below 20s. Instead of looking young, SRK seems to be looking older and older. Priyanka the BodyGaurd, who would mind that? Priyanka Chopra is no more a lover babe – she gets ready for some action stuff with dash of martial arts. She is playing bodyguard in upcoming flick DRONA. Mallika sherawat brought freelance kissing to bollwyood with movies Khawahish and Murder that involved ‘out of way’ kiss scene after few minutes. Get ready to feast the same in upcoming flick ‘Ru Ba Ru’. Dil Mil Gaye Wallpapers, Much Requested ! “Dil Mil Gaye” serial on Star One has huge young fan following. Dr Arman’s playing tricky with her mate doc and brewing love story – everyone seems to love it.